Nature can be messy. It doesn’t follow our prescribed boundaries; it doesn’t stay within the preserves we create. It’s fluid and ever-changing. To understand what makes up a healthy landscape, we have to look at the big picture and see how the land is connected as a whole. 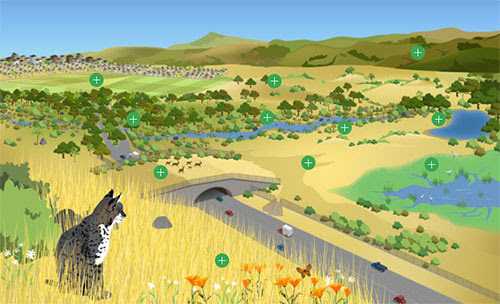 This is why much of POST’s work today is focused on building and supporting landscape linkages – broad areas of land that support the movement of plants and animals. 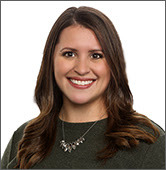 And speaking of healthy, POST is happy to announce our team is growing: We’re thrilled to introduce you to Kara Bennett, our new digital marketing manager! Kara will be sharing these newsletters with you in the future. Be sure to add her email (kbennett@openspacetrust.org) to your safe-senders list, so you don’t miss any news from POST! Don’t worry — I’m not going anywhere. I’ll continue to produce the stories and content you’ve come to expect from POST. In fact, with Kara’s help, we’ll be able to bring you even more great stories about our work. So stay tuned. We have a ton of great stuff in store for you in 2018.